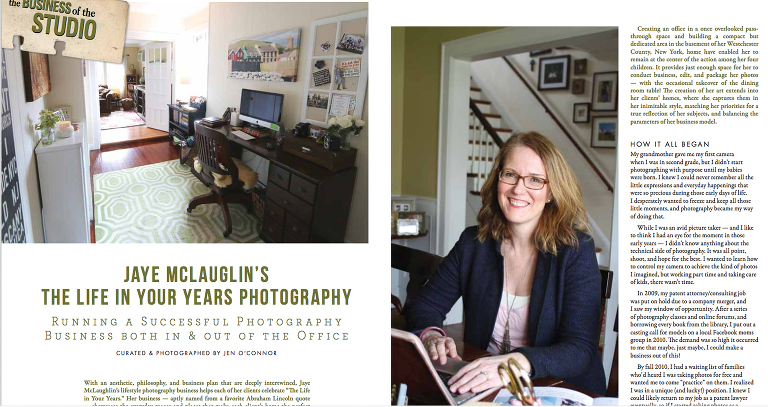 In the piece, I talk about how I use my space (and yours, dear clients) to create a business that both captures stories from the heart of your families – your homes – and turns those stories into beautiful products that serve as anchors to the memories you’re creating in your homes. There’s reminiscing on how it all began, musings on balancing work and home life, some tips for other artful entrepreneurs, and even peeks into new LYYP offerings. Wanna see? Well, me too! I’m told my advance copy of the winter issue is on its way, but you can get your very own on newsstands on November 1st – at Barnes and Noble, Michaels, and anywhere books are sold. I told you it was cool right?